Prominent & Leading Manufacturer from Chennai, we offer epoxy systems for repair. We provide Epoxy Systems for Repair and strengthening of marble and granite slabs. Because of their fragility, stone marbles and granites are difficult to handle and often they must be restored. 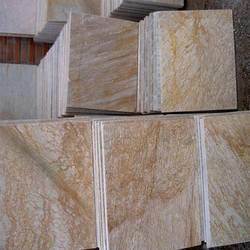 The latest technique has proposed a perfect solution in order to reduce the production scraps using the two component room temperature curing, 100% solids and clear and low viscosity epoxy systems for strengthening natural stones. Before being treated, the surface of a Marble & Granite slab has to be honed to allow the surface of the material to evenly absorb the resin. The material also needs to be completely clean and dry, so the resin can deeply penetrate in the smallest cracks of the surface. This process requires special convection ovens for favorable dry working conditions. After being mixed in the right ratio (either using a scale or an automatic mixing dispenser), the resin is then spread on the whole surface. There are quite a few different epoxy systems for Marble/granite, with different physical characteristics. The right system is always chosen in relation to the color of the Marble/granite, the machinery available and the desired results to be obtained. After the system is completely cured (usually it takes up to 24 hours, depending on the system and the equipment used) the slab is ready to be polished. During the polishing process, the first steps are focused on removing all excess resin poured on top of the slab, leaving only the resin that has filled into the cracks or the pits. In this way, the epoxy resin will not form a film on top of the Marble/granite, and it will be present only in the interspaces and in the micro-fissures. One of the first noticeable effects of the resin is a darkening effect on the whole surface of the slab. This is due to the effect of the resin on the quartz itself. This byproduct enhances the color of the slab and allows for a better polishing effect as a final result. On lighter materials, and when this effect is not desired, the application of special epoxy systems allows the material to maintain its color. It is a two component room temperature curing, 100% solids, clear, and very very low viscosity epoxy system for strengthening marble & granite. It has a very good penetration and is useful where fissures and cracks are very very thin and very high color darkening is required. It is a two component room temperature curing, 100% solids, clear, and very low viscosity epoxy system for strengthening marble & granite. It has a very good penetration and is useful where fissures and cracks are very thin and very good color darkening is required. Low viscosity system for resining marble & granite, where no colours change is required. EP – 171/ EH – 302:( 100:25) : Low viscosity system for laminating slabs with reinforced fiber-glass.